Ugh, it’s cold and flu season. I have a rotten cold, which is why I haven’t been around as much as usual. I suppose it’s not a terrible time of year to snuggle in and watch about 20 movies in a row (give or take), but when you are hit hard and need a little relief from chest pain there is a natural way to do it and feel good about what is going on your body. 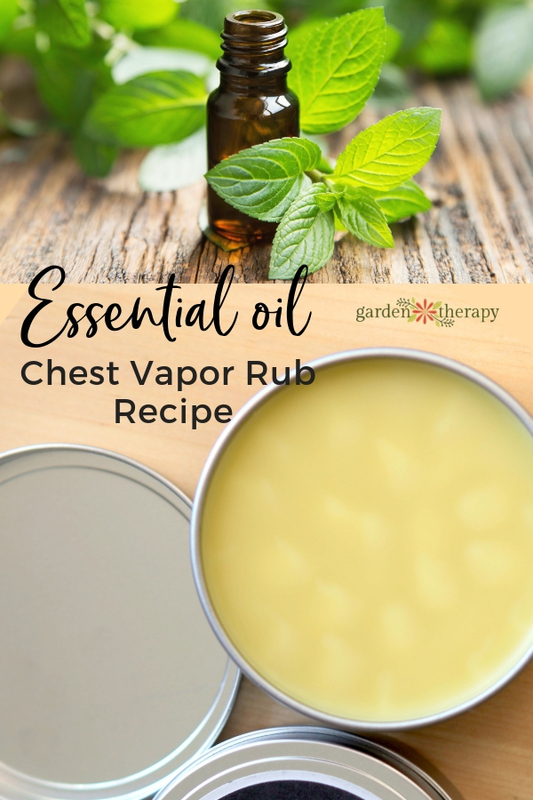 This chest rub is similar to what you will find at the pharmacy, but it’s a homemade recipe that has natural ingredients that you know and can pronounce. 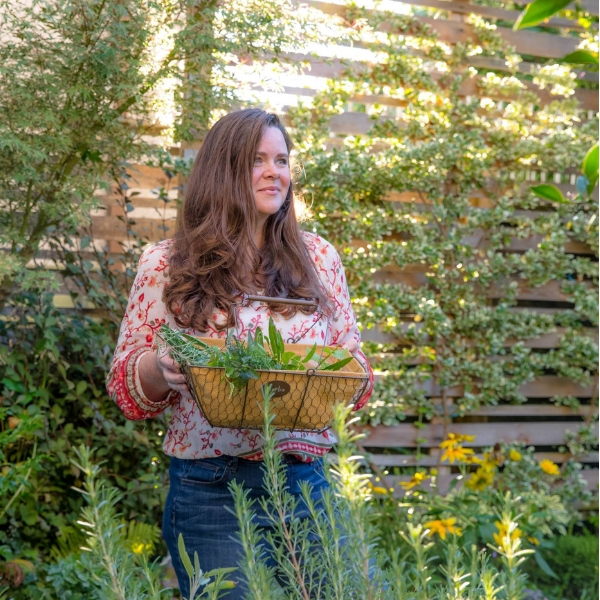 Always one to make the most natural of just about anything (check out the Natural Skincare Series for more natural recipes), I thought that making my own vapor rub might be just what the doctor ordered. The essential oils in this all-natural chest rub work wonders as a decongestant, so the next time you are so stuffed up that you can’t breathe, reach for a tin of this and rub it on your chest, under your nose, and/or on your feet (being sick is a great excuse to demand foot rubs from your loved ones). The olive and coconut oils in this recipe also work to deeply moisturize skin, which is often dry if you’re spending your sick days indoors where the air is made drier by artificial heating systems. Plus if you have dry, painful skin under your nose from scratchy tissues, rubbing a dab of this on can help to relieve the discomfort. Coconut oil also has natural antibacterial and anti-fungal properties, which can only help when you’re fighting a cold. Keep in mind that essential oils are powerful and not regulated like drugs are. 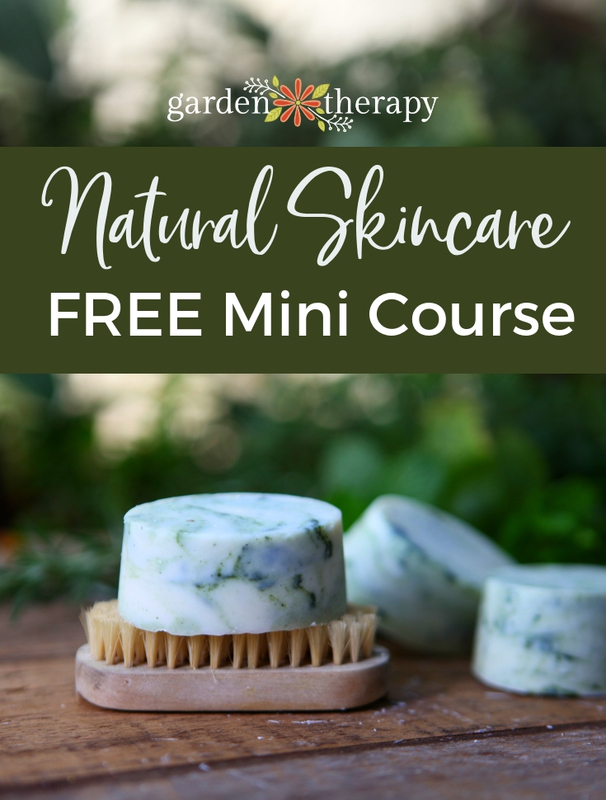 Please use common sense with any recipe and know that “natural” doesn’t necessarily mean “gentle.” This recipe is homemade and works well for me and my family, but you should always test it on yourself before covering your whole body! You may have a reaction. Also, this recipe is for adults only, as some of the essential oils are not recommended for children. 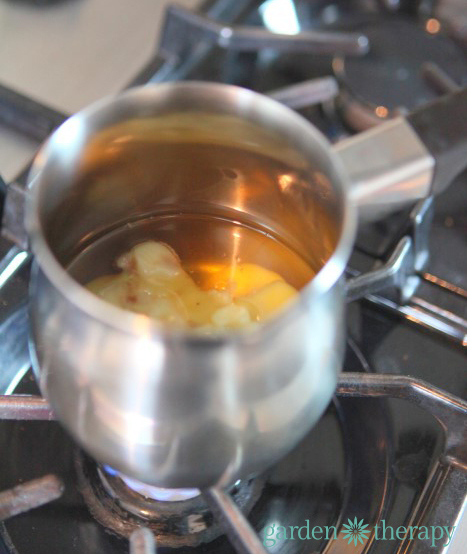 Melt the oils and wax over a double boiler or in a Turkish coffee pot on the stove. Be sure to stir it constantly and do not overheat. It should just melt, not cook. Stir in essential oils. Pour into metal tins and let set. Re-melt to add more essential oils if you want it a bit stronger. 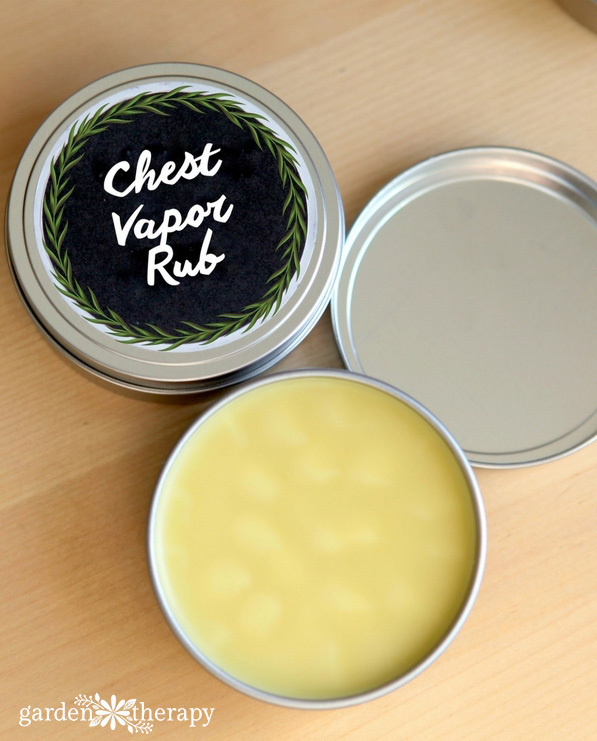 Rub balm on your chest to help soothe congestion and cough. Rub under your nose for a stuffy nose and sore skin from scratchy tissues. Rub it on your feet (or have someone else do it)—the foot massage and tingling from the essential oils will feel good and distract you from your cold while the strong scent helps to ease congestion. You may also like this Homemade Natural Hand Sanitizer Recipe. There are other things to use for coconut oil-Cocoa butter, Kokum butter,Mango butter and shea butter also a natural vegan was is emulsifying wax but it is not as firm as beeswax.